“To be ranked #18 among the Best Companies to work for in New York State, is a tremendous achievement for FLTG. We feel honored to be recognized among other prestigious companies in the state,” says Paul H. Griswold, President & CEO. Finger Lakes Technologies Group, Inc. is pleased to announce that it is #18 among the top 45 small- to medium-sized employers in the state, according to the New York State Society for Human Resource Management’s (NYS-SHRM) annual Best Companies to Work for in New York State awards program. Created in 2007, this annual program evaluates and ranks the best places of employment in the State based on employee satisfaction and engagement, as well as workplace practices and policies. It is unique because employees’ survey responses count for 75% of the ranking formula. About Finger Lakes Technologies Group, Inc.
Finger Lakes Technologies Group Inc. (fltg.com) provides state-of-the-art voice, data and Internet solutions to business customers across New York State and Pennsylvania. The company is certified in all Cisco solutions and has built its own 2,500-mile, fiber-optic network to serve the Finger Lakes region. A subsidiary of Ontario and Trumansburg Telephone Companies, FLTG brings to its customers a more-than-100-year history in telecommunications. Headquartered in Victor, FLTG employs 140 people and has offices in Buffalo, Binghamton, Phelps, Romulus and Trumansburg. The Best Companies to Work for in New York State program is a partnership between the NYS-SHRM, The Business Council of New York and Best Companies Group. The Presenting Sponsor of the 2016 awards was Ryan, LLC; Major Sponsors were Bethpage Federal Credit Union and The NPD Group, Inc.; Supporting Sponsors were Anchin, Block & Anchin LLP, Optimedia US, and Strategic Financial Solutions. For more information on the Best Companies to Work for in New York State program, please visit http://www.BestCompaniesNY.com. Winners listed in ranked order within their category. Primary New York state office location provided. 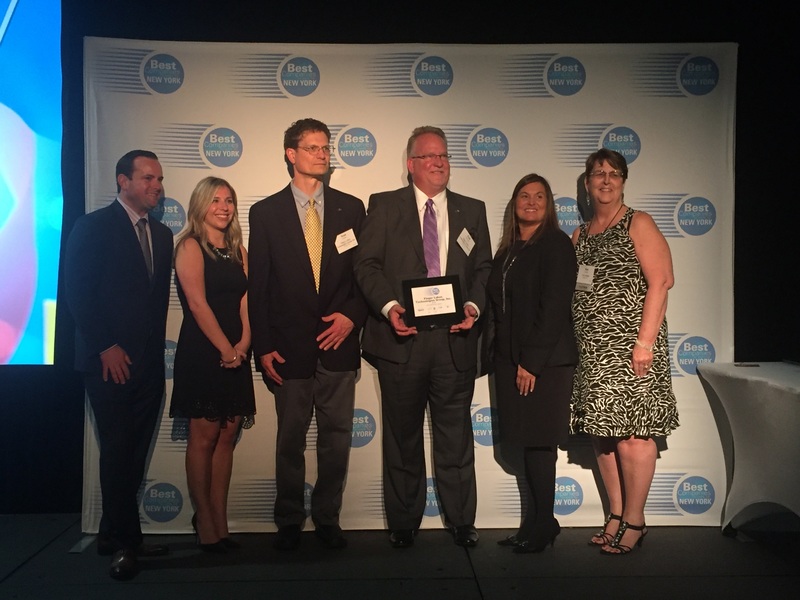 Paul H. Griswold, President and CEO accepting the #18 ranking for Best Place to work in NYS Award on behalf of Finger Lakes Technologies Group, Inc.